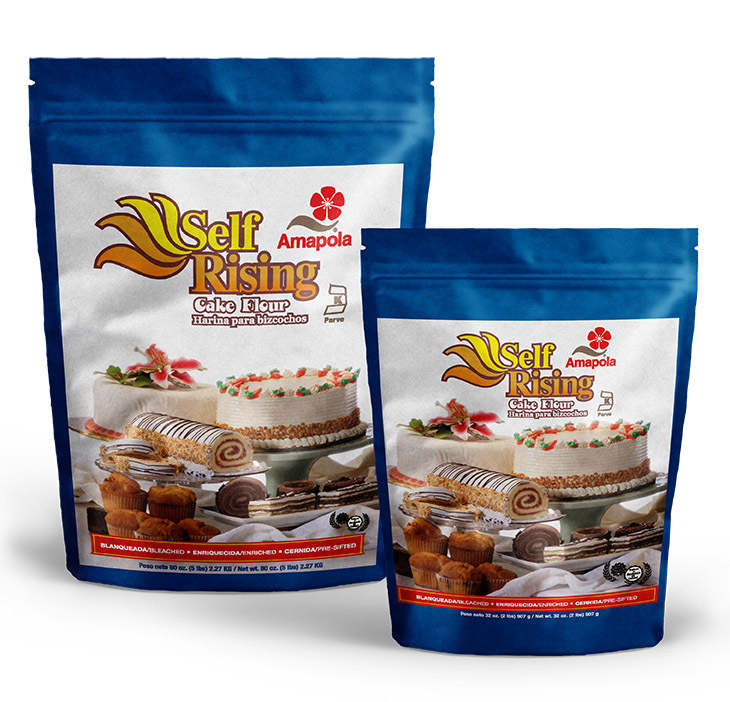 Special flour for making cakes and cookies. It allows smooth, spongy and consistent mixing. It contains salt and baking powder. Available in convenient plastic packaging that keeps the product cool when unused. *The percentages of the daily values are based on a 2,000-calorie diet for healthy adults. Official site of Molinos of Puerto Rico. © Copyright 2017 - Molinos de Puerto Rico.